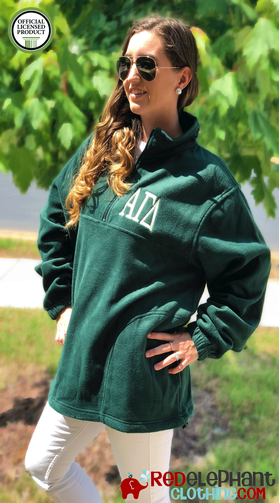 Ships in 3-5 business days..
Show your Alpha Gam love with a monogram quarter zip pullover! You'll stay warm and cozy this fall with our unisex fit quarter zip jacket embroidered with your sorority's Greek letters. 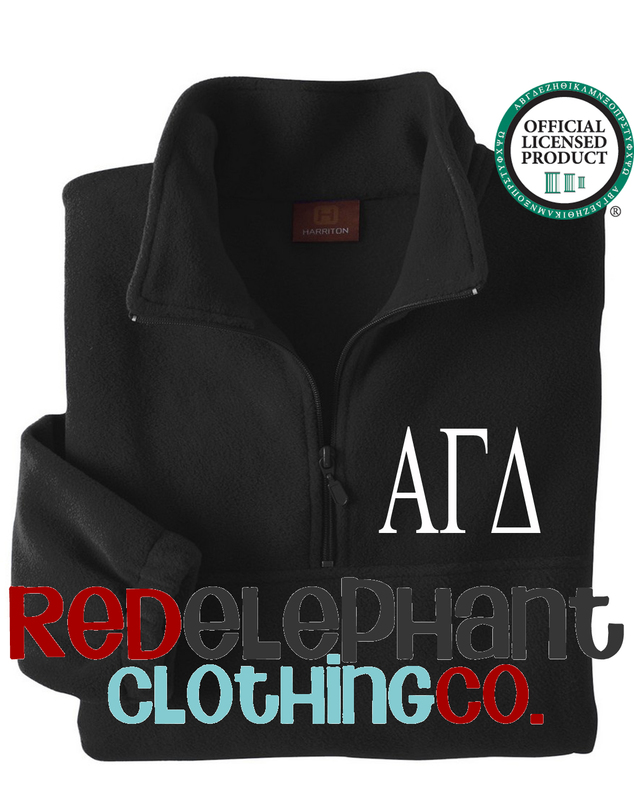 You'll add your letters and choose your thread color to make your Alpha Gamma Delta jacket uniquly yours! 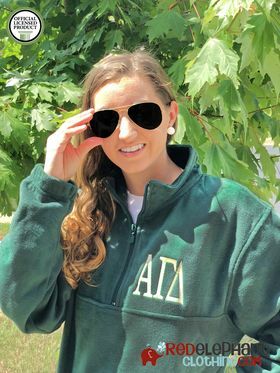 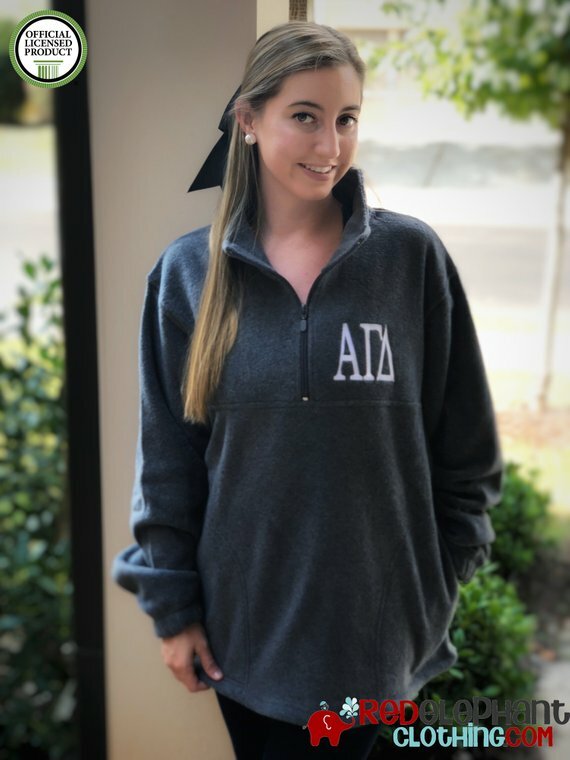 Your new Alpha Gamma Delta pullover is made using a midweight, 100% spun soft polyester fleece and it is highly breathable. 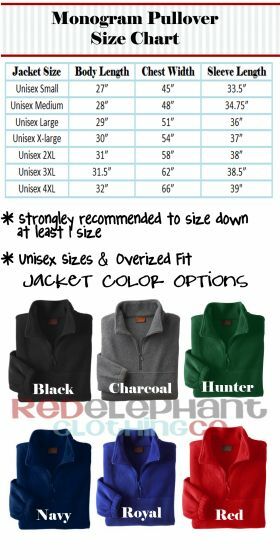 This Alpha Gam jacket has 2 front pockets and non roll elastic cuffs at the sleeves. 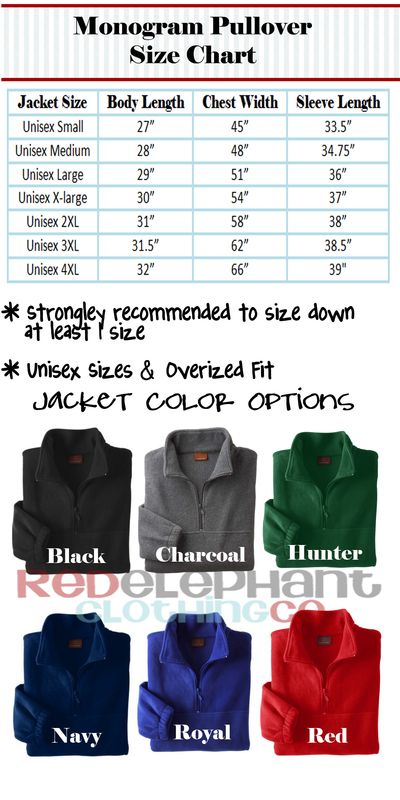 Our oversized jackets feature a bottom hem with an inside casing that has a draw cord and toggles.